Russia has been for weeks warning of a planned false flag operation in the besieged city of Idlib in northwestern Syria allegedly to be carried out by Islamist extremists. The warning comes as Syrian Army forces reinforce their positions around the city currently under the control of the Ahrar Al Sham rebel group affiliated with Al-Qaeda. The Syrian military, with the help of Iran and Russia, is preparing for a final offensive to take Idlib and end the war. Earlier in the week, Russian Ambassador to the US Anatoly Antonov, met with US State Department officials in Washington to share intelligence reports gathered by Russia of this imminent false flag operation. Russian Foreign Minister Sergei Lavrov told reporters on Wednesday that the US rejected Moscow’s evidence. 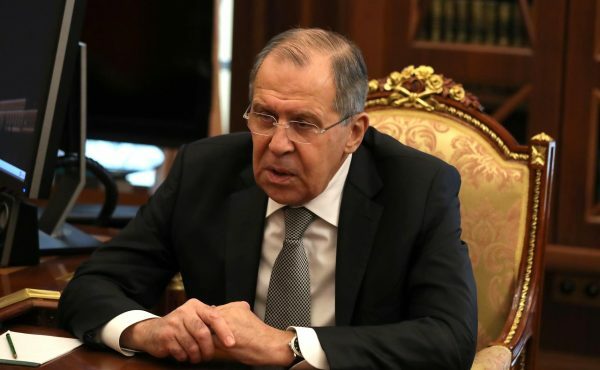 “There is an impression that this issue and the threats in this connection, which are made against the Syrian government, are being used for the sole purpose of preventing the expulsion of terrorists from the Idlib de-escalation zone,” Lavrov said. Meanwhile, the US warned both Russia and Syria that it would “respond to any verified chemical weapons use in Idlib or elsewhere in Syria”. Both Russia and the US are building up their naval forces off Middle Eastern coasts in the Mediterranean in anticipation of the final thrust to liberate Idlib.